Does the Art Department offer jewelry courses? What equipment is available to jewelry students? Jewelry courses utilize a large 3D studio with integrated TV/DVD capabilities and hook-up access for internet. In addition, jewelry students have access to a dedicated soldering and casting lab. What are students working on in jewelry classes? 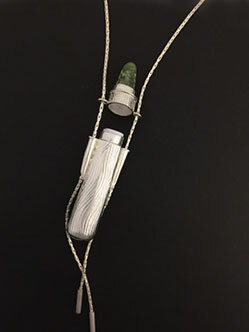 See examples of jewelry students' work. What job opportunities are available to jewelry students?